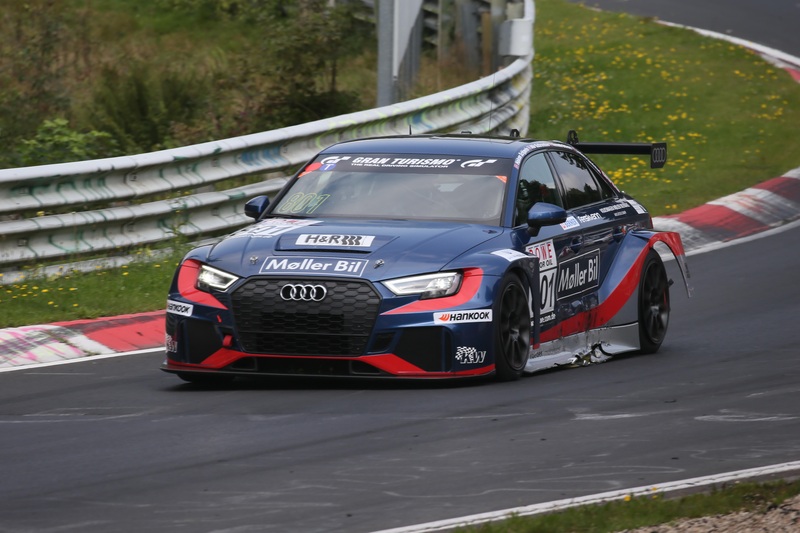 7,5 seconds from the win after four hours of driving… Saturday’s VLN-race at the Nürburgring became a thrilling affair in the TCR-class. We finished second this time, but we were only 7,5 seconds behind the winning Opel Astra TCR from Kissling Motorsport. I kept out of trouble, although I lost one position. But soon I was up to third again and started to catch the second-placed Opel. But suddenly I spun at the GP-track. I don’t know why I spun, but I lost quite some time. I think that’s unacceptable, especially since the crash was his own mistake. I talked to the driver afterwards and he admitted he was on my right side out of Brunnchen, but that his plan was to pass me on my left hand side. That was of course impossible for me to know, and very inexperienced of him, but luckily I could continue after the collision. After this the steering wheel was not pointing in the right direction and the car felt a bit strange. I had a moment in Pflanzgarten 2, and that was scary. Anyway, I was still third when I went into the pits, and some of my lap times matched the leading VW Golf. That’s racing, and once again the team of mechanics did a perfect job. And with a bit more luck we could have won.